How many times have you visited a beach or a lake, only to be tragically disappointed by the murkiness of the water? Sure, you could go for a swim in there if you really wanted, but there’s no way of knowing if whatever brushed your leg was seaweed, a bug-eyed aquatic beast, or a creepy, middle-aged guy with snorkeling gear. It’s just not worth the risk. Wouldn’t it be nice if you could actually SEE what’s beneath you? Well, you’re in luck, because each of these 10 places has water that’s so clear, it’s pretty much equivalent to swimming inside a Poland Spring bottle. Or a Fiji bottle, if you’re super fancy. This serene pair of glacial lakes is located about a mile from the Italian/Slovenian border, and while they’re both remarkably clear, it’s the larger of the two that draws the most tourist action. The water here’s generally way too cold for swimming, but you can still get an up-close look at the what’s under the surface by hopping in one of the rowboats available for rent. Once you’ve gotten sick of rowing, hit the hiking paths surrounding the lakes for some breathtaking views of the neighboring Julian Alps. 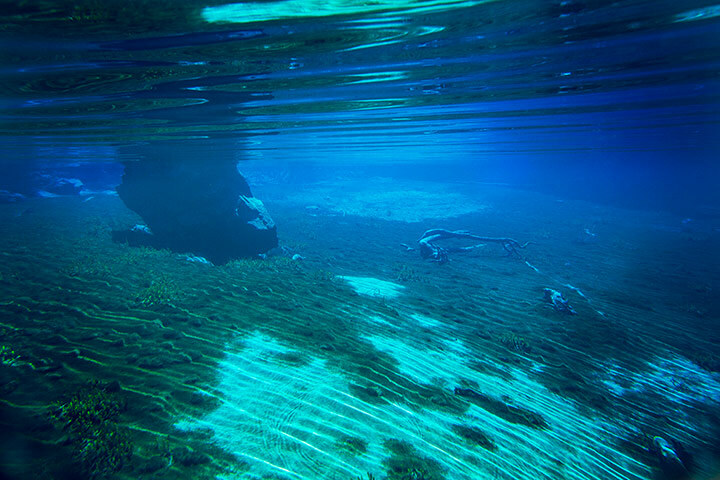 Thanks to the high concentration of underground limestone acting as a natural filter, the rivers surrounding the Brazilian municipality of Bonito are almost all vividly transparent. 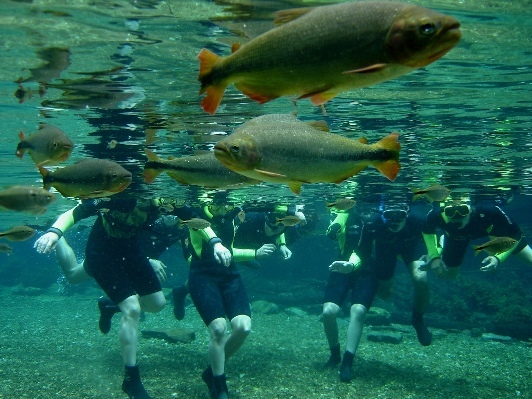 The Rio da Prata is one of the clearest, allowing snorkelers to easily spot the shimmering scales of golden Dorados (otherwise known as delicious mahi-mahi) and yellow-finned Piraputangas swimming next to them. 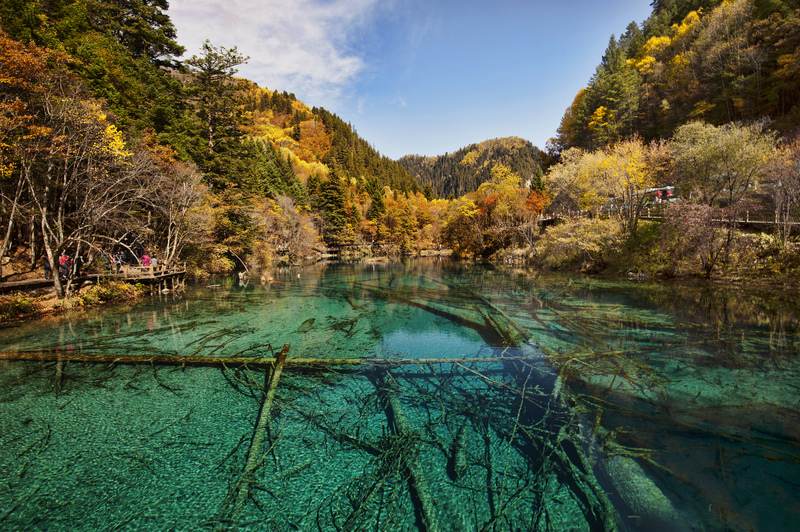 According to legend, the 108 lakes dotting the Jiuzhaigou Valley nature reserve were created when a goddess dropped the mirror she received from her lover, and it shattered into 108 pieces. Clumsy deities notwithstanding, each of these scenic lakes is pretty spectacular, and there are definite standouts: Five Flower Lake and Five Color Pond, located on opposite ends of the Y-shaped valley, both live up to their names with vivid hues and transparent waters. Except there are way more than just five colors. It’s more like that Crayola box with 128 crayons, including cornflower and burnt orange. Which are definitely the best colors in that box. 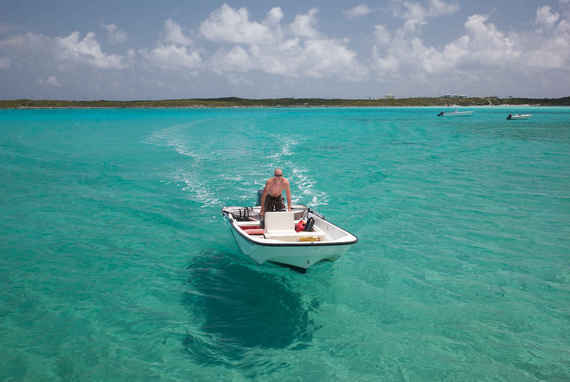 Each of Exuma’s 360-plus islands is surrounded by clear, blue, Bahamian bathwater, whether you’re swimming with feral pigs on Big Major Cay or wading out into the surf on Tropic of Cancer beach — so named because it literally runs along the Tropic of Cancer. The color, clarity, and temperature of the water are remarkable, but when the tide recedes to reveal hidden, white sandbars, you can temporarily claim your own private island. 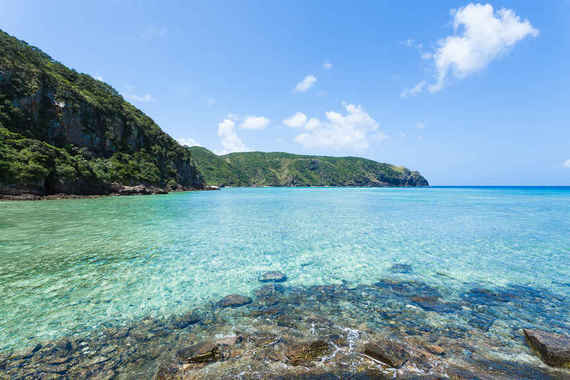 In the decades following WW2, Zamami became a popular destination thanks to its small size and brilliantly clear water. 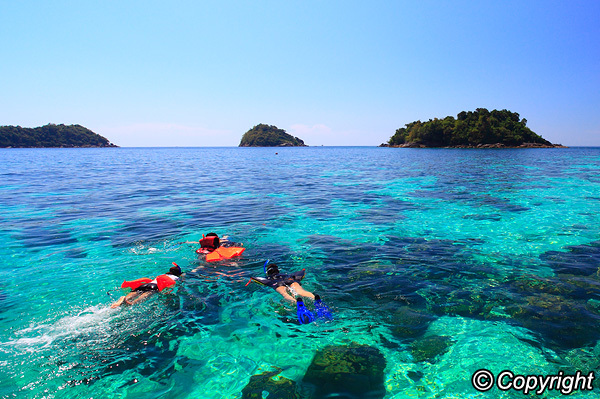 Tourists flock to spots like Furuzamami beach to scuba dive and snorkel among the fish and coral reefs. Folks also come for the chance to spot humpback whales in the spring and winter, whether from sightseeing boats or special observation gazebos. Tourism’s so big here, in fact, that 92% of the 924 people living on this Okinawan island chain are employed in the tourism industry. Among all the world-class beaches along the southern Dalmatian Coast, the ones lining the island of Hvar are in a league all their own. The water here has a level of clarity you’d expect from a legit hotel pool, only without all the rich people floating/peeing in it (probably). 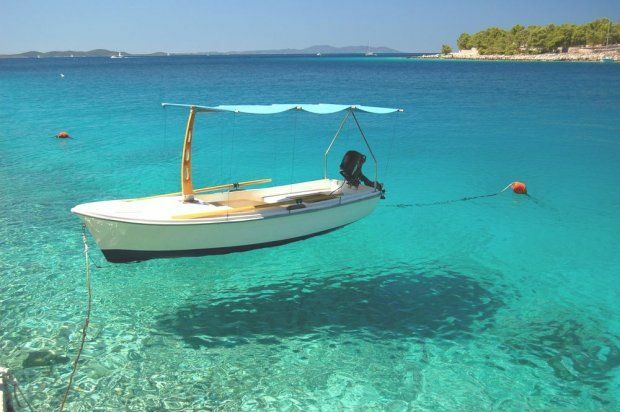 On top of that, Hvar has an average of 2,700 sunlight hours per year, more than any other Croatian island, so it’s not unusual to see the shadows of boats trailing beneath them as they drift through the sea-foam green water. Lying in the Andaman Sea to the west of the Thai mainland, Koh Lanta’s got some pretty sweet beaches where the water’s remarkably clear (if shallow). The real attractions, though, can be found at nearby diving spots where the deeper water affords snorkelers and scuba divers alike incredible views of ornate coral reefs, colorful fish, and hidden underwater caves. The beaches on Lefkada are some of the best in all of Greece, particularly the ones along the west coast that face the Ionian Sea — from Porto Katsiki in the south to Kathisma in the north. Some of the beaches are strewn with pebbles, others with soft white sand, but they all have one thing in common: cool, turquoise waters so clear you’ll never have to worry about smashing your toes against invisible rocks hidden beneath the surface. Leave those dorky water shoes at home, or better yet, just throw them out entirely. Who still wears water shoes? 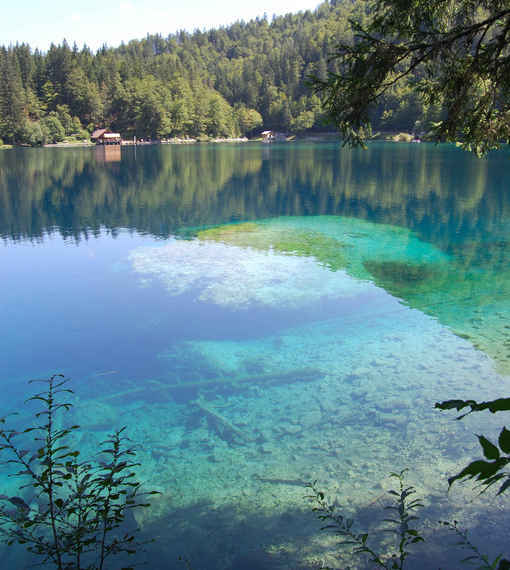 With an underwater visibility of up to 262ft, Blue Lake (or Rotomairewhenua) is officially the clearest lake in the world. Unfortunately, because it’s considered sacred (or tapu) by the Maori locals, humans are not permitted to enter the water, so you’ll be forced to either admire the clarity from the shore or check out an aerial view by booking a scenic helicopter flight. Might as well be called Voyeurwhenua, right? Tucked way up in the High Tatras mountain range and running along the Polish/Slovakian border, these five alpine lakes each boast glassy, cerulean-tinted water. Just how glassy can water be, though? Well, judging from this video shot by hikers last December, pretty damn glassy. 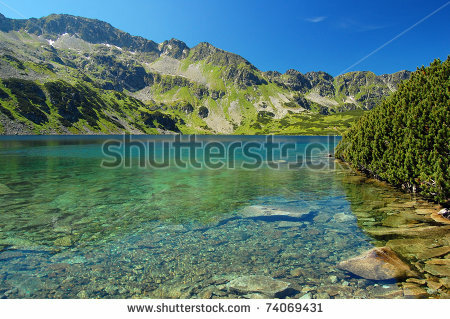 The largest of the lakes, Morskie Oko (or “Eye of the Sea”), is also the most popular for tourists hiking the High Tatras, and was chosen as one of the most beautiful lakes in the world by the Wall Street Journal. Totally a big deal among lake enthusiasts. What cha think? Worthy of adding to your #bucket lists? Know of any other places that should have made the list? Just added all these places to my ever expanding bucket list! Lol Me too! I have yet to get close to ckear water. My bucket list keeps growing, too. Thanks for reading! Next PostQuote of the Week: It’s Never too Late!